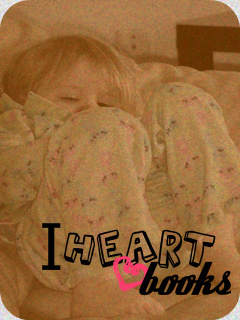 this week i have picked the existential theme in being a toddler. eat dirt, eat rocks and eat boogers. (gross, i know) however every toddler has a picking problem. they all do it, dig for gold. one of the ways that i've curtailed lulu's obsession with trying to play with her brain is constantly just pulling her finger out of there. after a while, that didn't work. then i did the whole "ewwww that's gross" charade and that didn't work - either. she chased me with it. thanks kid as if you couldn't gross me out anymore, you just did. lulu one, mummy zero. so then i knew i had to think of another, creative way, to get this nose picking problem under control. we need to have a 1-800 number for picking noses. they have them for pest control, ghost busters, everything under the sun. so why can't they have a 1-800 direct line for suggestions on how to get a nose picker under control. it's like AA meetings for obsessive compulsive picking. hey! i think i'm on to something here, don't you? (just answer with a yes, and i won't sick lulu on you with one of her big greeners). 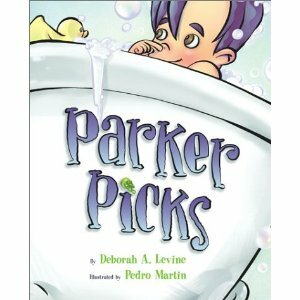 while perusing the shelves at the book store one day, i came across an intriguing title; "Parker Picks". well let me tell you, this baby was bang on! have you ever heard that old wives tale about if you pick your nose too much that you're finger will get stuck? i was THAT mum making those snarky comments, "lulu if you keep picking your nose your finger will get stuck". of course she just rolled her eyes and acted like i was an alien with 100 eyes and she wasn't sure which eye to stare at while thinking that i'm a crazed lunatic. well, i cracked this baby open and started reading it. how absolutely disgusting, hilarious, and extremely thought provoking all in one. this was it, it was my answer to fixing this picking problem. this story is just too funny and hit the nail bang on the head. although it makes me gag, it had my nuggets giggle. lulu, although not pick-free, is definitely remembering (when reminded) about parker and how his finger got stuck in his nose, and how he didn't enjoy it so much anymore. very cute and oddly has a good story behind it fueled by extreme dry humour. any parent would understand and totally enjoy this read. you can see the lightbulb go off over your toddlers head as they consider this theory to be true. and if you're a parent like me, any suggestion on how to get some of these less than perfect habits gone, for good, is always willing to take a suggestion. Single SAHM. BB Fanatic. Nailpolish Addict. FB and Twitter loving net gal sharing it all through a blog Canadian Style. What's New: A Basketful of Beauties! "That Sounds Like Crazy Talk!" All material written and photographed: Copyright © Stacey Gordon. Unless otherwise noted. Simple theme. Powered by Blogger.